Spoiler warning for the events of The Walking Dead Episode 4 ‘Take Us Back’. It’s not too often you can label a video game as the ‘end of an era’, but for the final episode of what is indeed the final season of The Walking Dead, I can’t think of anything more fitting. As if the pressure wasn’t enough already for Skybound Games to create a satisfying ending – something which CEO Ian Howe discussed with us here – Take Us Back also represents the first definitive ending for any of the ongoing series within The Walking Dead universe. Following on from the explosive cliffhanger in Broken Toys, Take Us Back could have followed any number of narrative paths but in sticking with the Final Season’s grounded storyline, the episode focuses almost entirely on Clementine and AJ’s journey home. In the context of the tone laid out by previous episodes, it makes sense, but anyone expecting a huge infiltration mission of the Delta’s hideout will be disappointed. In fact, compared to any of the finales that have come before it, Take Us Back feels incredibly low-key. Since the series began, it’s been a staple of previous finales to have a high body count mixed with intense action and some incredibly high-stakes, but Take Us Back throws that blueprint into the trash and brings the season’s central relationship to the forefront. Clem, AJ, James and Tenn on the run. Even though there are clear parallels to draw between them, the dynamic of Clem and AJ is very different from how things used to be between Clem and Lee. AJ’s blasé attitude towards violence is a fascinating difference, which seems to be the result of having been brought up solely in this post-apocalyptic world, with life before the outbreak coming across like a surreal fantasy. Parenting is already one of the most difficult jobs anyone can undertake, but doing so whilst also fighting for your life on daily basis makes me think Clem is some kind of super woman. 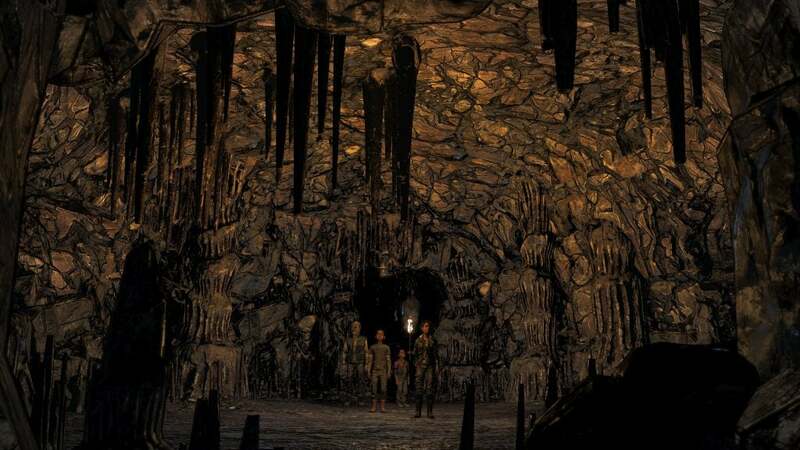 The episode actually feels quite similar to the Season Two finale, No Going Back, with our main characters getting very little time for respite as they try and make their way to refuge, although this time around our group is much smaller. For some time now, fans (and I include myself in there) have felt as though their choices have counted for very little when a season’s conclusion comes about – simply offering you one of two binary paths, but I didn’t feel that here. Since my playthough of Take Us Back, I’ve taken a quick glimpse at the experiences of other players and I’m pleased to say they differed greatly from my own. Throughout this season, I’ve been trying my best to steer AJ away from violence in favour of compassion and feel my decisions have been justly rewarded. Many other variables also come to a head in this finale, making my experience feel extremely personal. There are also moments in the finale that reference decisions you made in previous episodes. These moments may not heavily impact the narrative, but they’re satisfying acknowledgements nevertheless. I won’t mention the specifics, but let’s just say there’s the odd cameo. The Walking Dead has always presented itself as unrelenting in the dangers that it presents, but Clem’s safety (with the exception of the odd missing finger) has always seemed like a given. Skybound Games immediately throws this into doubt though, adding tension and uncertainty that’s rarely been seen before in the series. While Take Us Back pays homage to the first season’s finale, there’s enough amazing twists and turns here to prevent this episode from becoming a mere tribute to Lee’s final stand. That said, I can’t shake the feeling my emotions were being toyed with for the sake of a mid-episode cliffhanger. It’s also at this point that Take Us Back encounters a few pacing issues that throw the narrative out of sync. 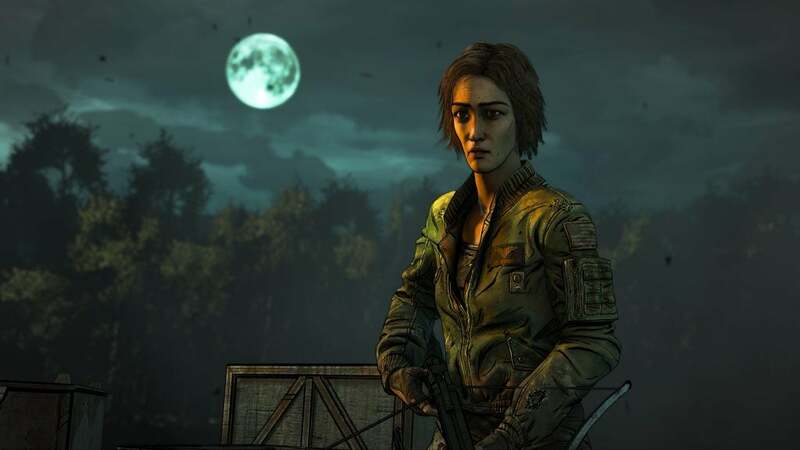 A flashback sequence of Clem’s rescue mission – set between the events of A New Frontier and The Final Season – feels disruptive to the finale’s narrative. I feel this scene would have had more of an impact had it featured earlier in the episode. And yet, for any shortcomings it may have, it’s incredible to finally see a satisfying conclusion within The Walking Dead canon. Sure, Take Us Back leaves a lot of unanswered questions, specifically about the ongoing war between Richmond and the Delta, but this season has always been about the relationship between Clem and AJ. In that respect, this finale delivers with aplomb. A big thanks is owed here to the team at Skybound Games, without whom we might never have seen a conclusion to this long-running series Telltale Games started so many years ago. It’s fantastic to see Clemintine get the ending her character duly deserved. 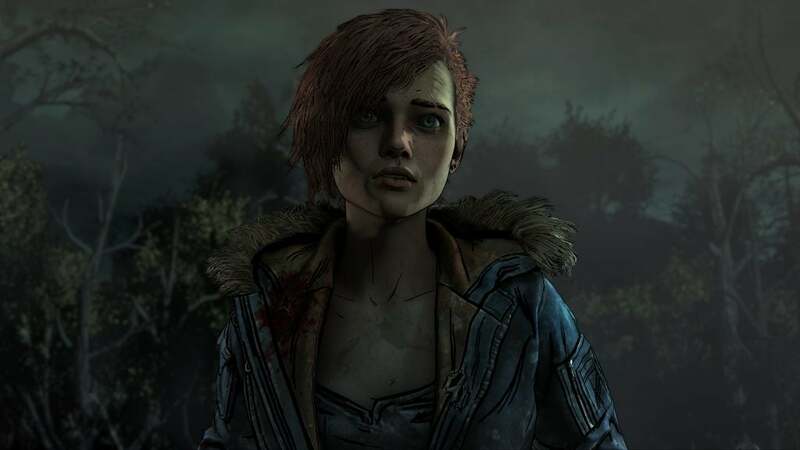 The post The Walking Dead: The Final Season – Episode 4 appeared first on Trusted Reviews.